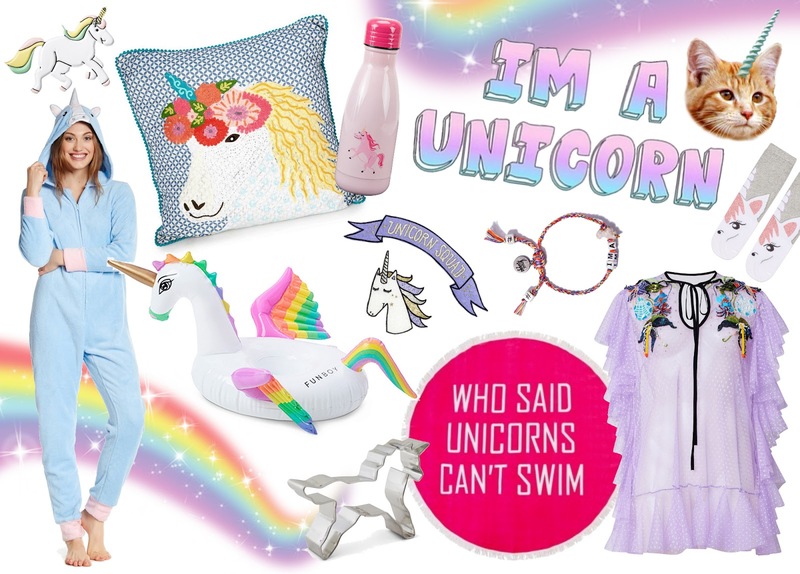 Cookie cutter - SurLaTable, Pink Water Bottle - HauteLook, Romantic Unicorn blouse - Moda 'Operandi, Grey socks - Topshop, Unicorn Squad patches - H&M, Friendship bracelet - ShopBop, Pillow - UncommonGoods, Inflatable Unicorn - Revolve, 3D Sticker - Macy's, Baby Blue Unicorn PJ - Nordstrom Rack, Beach towel - Asos. 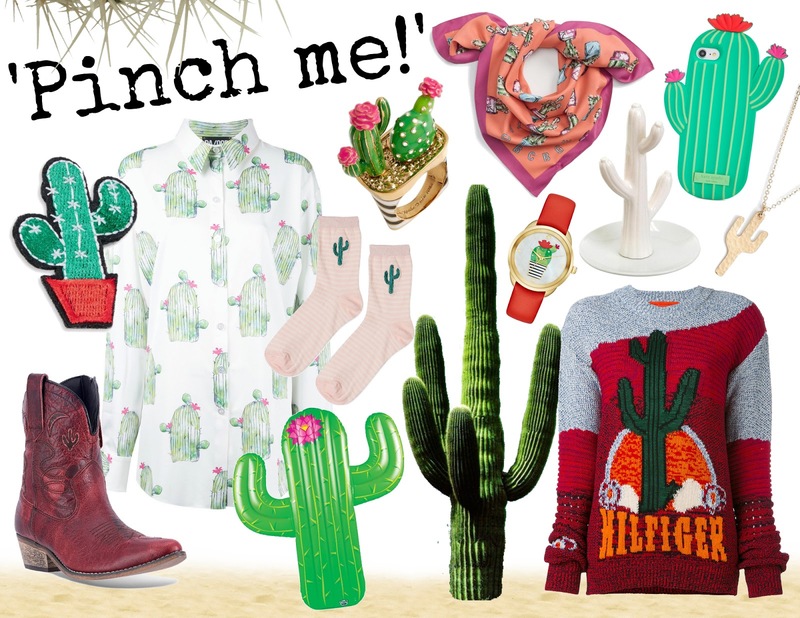 Inflatable cactus - Nordstrom, Ring - Nordstrom, Phone case - ShopBop, Watch - Nordstrom, Patch - Lord&Taylor, Shirt - FarFetch, Necklace - Nordstrom, Boots with cactuses - Kohl's, Jewelry stand - Shoptiques, Socks - Topshop, Scarf - Nordstrom, Jumper with cactus motif - FarFetch. 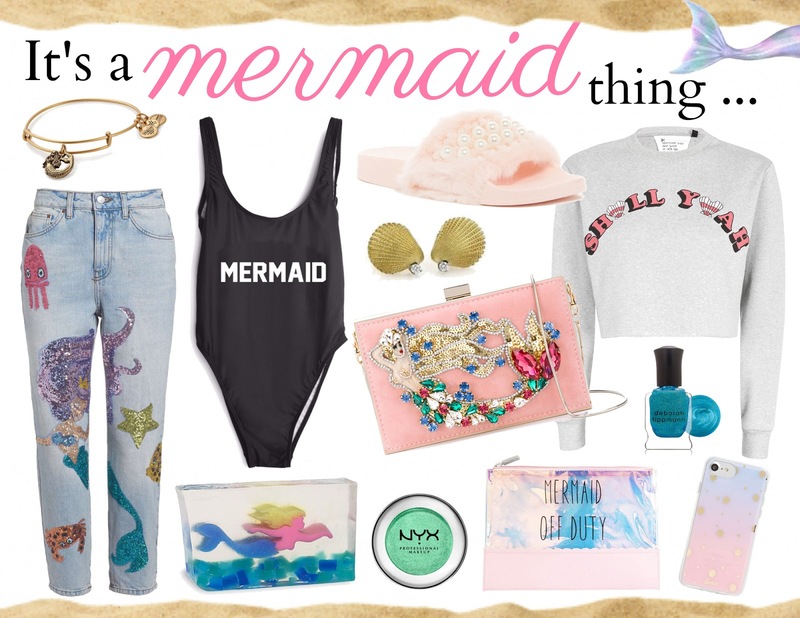 Grey cropped sweatshirt - Topshop, Hand soap with mermaid - HSN, Green eyeshadow - Wallgreens, One-piece Swimsuit - ShopElettra, Shell earrings - Truefacet, Mermaid clutch - FarFetch, Cosmetic bag - HauteLook, Blue nail polish - Dermstore, Dreamy slide-ons - Nordstrom Rack, Alex&Ani bracelet - Nordstrom, Phone case - Nordstrom, Denim - Nordstrom. 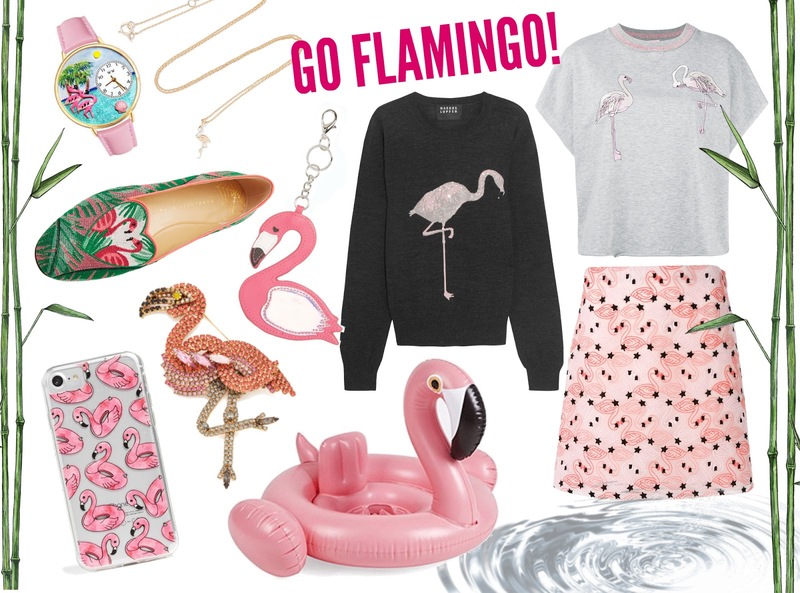 Watch - JCPenney, Skirt - FarFetch, Umbrella - Saks, Grey cropped shirt - FarFetch, Pin - ShopBop, Bag charm - Nordstrom, Necklace - Net-A-Porter, Flat Sandals - Moda 'Operandi, Inflatable Flamingo - ShopBop, Black flamingo sweatshirt - Net-A-Porter, Phone case - Nordstrom. 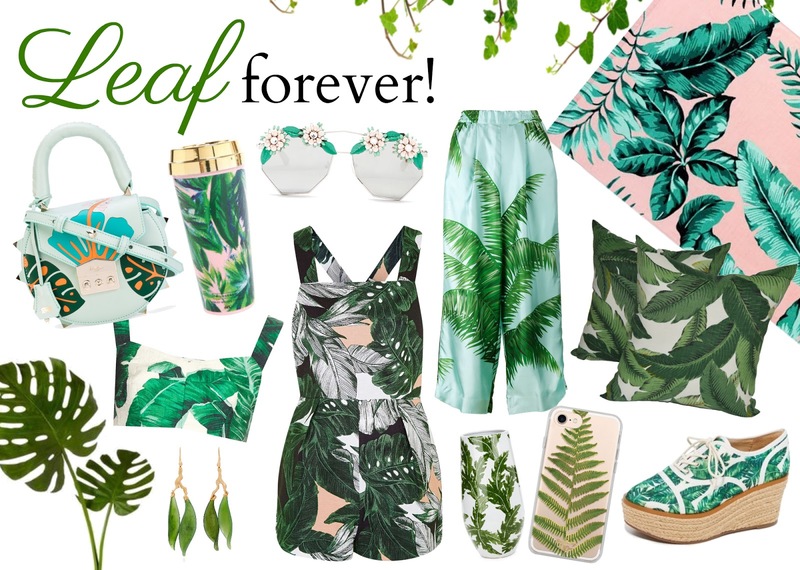 Bra - Dolce&Gabbana, Palm tree-print pants - FarFetch, Romper - Topshop, Phone case - Nordstrom, Earrings - Moda 'Operandi, Sunglasses - Nordstrom Rack, Coffee cup - Ashley Brooke Designs, Bag with leaves - FarFetch, Pillow set - Etsy, Sneakers on platform - Schutz, Pink towel - PBteen, vase - Saks. I am yet to acquire any of them and highly doubt that I will but they look great. I love your picks. I see a few pieces I would like to have Flamingo watch and the top and skirt. I've recently been seeing a lot of unicorn stuff in fashion and even furniture. 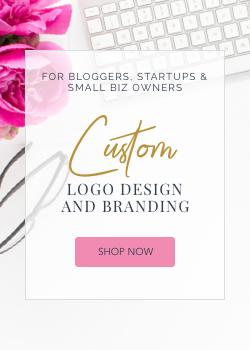 Interesting, as with all things trends come and go. Greetings to you!